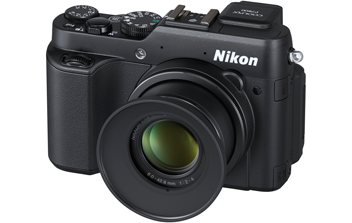 The new Nikon Coolpix P7800 is the expensive replacement to the Nikon Coolpix P7700. The most important news with this camera is that it got a electronic viewfinder, so you can use the camera like a digital SLR camera. Otherwise the is almost no news with this camera refresh other than some very small tweaks where you are going to be a detective to find them. The existing Nikon Coolpix P7700 got a good rating of 78 out of 100 at Nikon Index, so it is a good camera to buy and as the Nikon Coolpix P7800 doesn't change much this should also be a good buy when it comes down from its initial high price. The price difference between these two cameras is huge (September 2013), so if you are considering the one over the other please go for the older model as it is almost half price of the new model. The price difference is just to big to justify a electronic viewfinder.